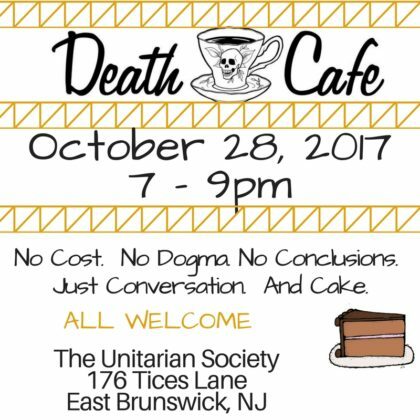 Spend your Saturday evening with coffee, cake & conversation in small groups exploring our inevitable mortality and the topic of death. 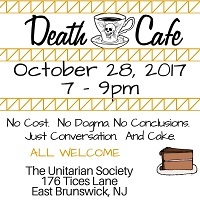 (Gluten-free option will be available) Rev. Karen will be your host. We cannot provide support for people dealing with recent loss or terminal illness but referrals can be provided. We are explicitly welcoming of all people regardless of gender identity or sexual orientation.